Project Cornerstone www.projectcornerstone.org is a countywide initiative that began a few years ago. The principles of the program are based on research by the Search Institute www.search-institute.org The main goal of the program is to increase children’s developmental assets (41 in total) in an effort to create positive life outcomes. Developmental assets are experiences, values, relationships, opportunities, and competencies which all children and youth need. 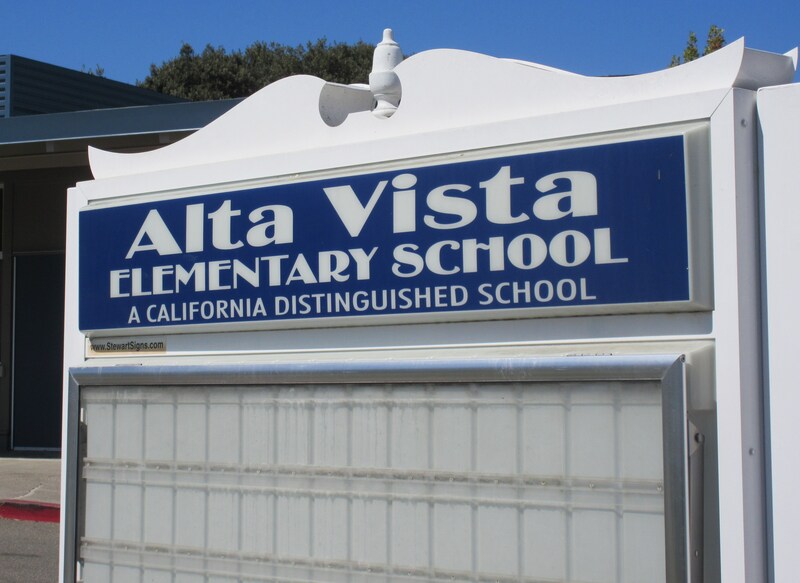 Alta Vista participates in two of Project Cornerstones many programs - the parent led ABC Reader program and the student program in which our students participate in Expect Respect leadership training, and then are trained to become Conflict Managers. Parent volunteers are first trained to be Asset Building Champion (ABC) readers, then later visit classrooms on a monthly basis to read stories and lead discussions designed to increase the number of developmental assets in all students. Each book is aimed at developing positive social skills and building one or more of the developmental assets. Students are given a common language and ideas about how to address real issues they have or will likely face. Particular attention is given to teaching children how to deal with bullies and not engage in bullying behavior themselves. Alta Vista provides an opportunity for fourth and fifth grade students interested in serving their school in a leadership capacity. Students who apply for one these programs, must show leadership potential, maintain good work/study habits, be responsible and seen as a role model within our school community. Students selected to serve in leadership roles volunteer their time before and after school and at lunch as Playground Pals, Conflict Managers, Student Council Officers, and Safety Patrol Monitors. Find more information on these programs under the tab Student Corner. A few days a week the parent and staff volunteers provide a positive place where children can play board games, chess, build with Legos or just read during the lunch recess. The adult volunteers reinforce positive social interactions and cooperative play, while offering students an alternative activity to playing outside. Playground Pals, is designed as a peer buddy program to provide a circle of friends to support students who have social difficulties. Trained upper grade students are paired strategically with first and second grade students to assist them in orienting to the playground, learn new games and feel successful and socially connected while they are at play. They serve as a big buddy and critical friend for these students who might otherwise spend their recesses alone or engaging in non-productive behavior. To learn more about this program, visit the Student Corner.